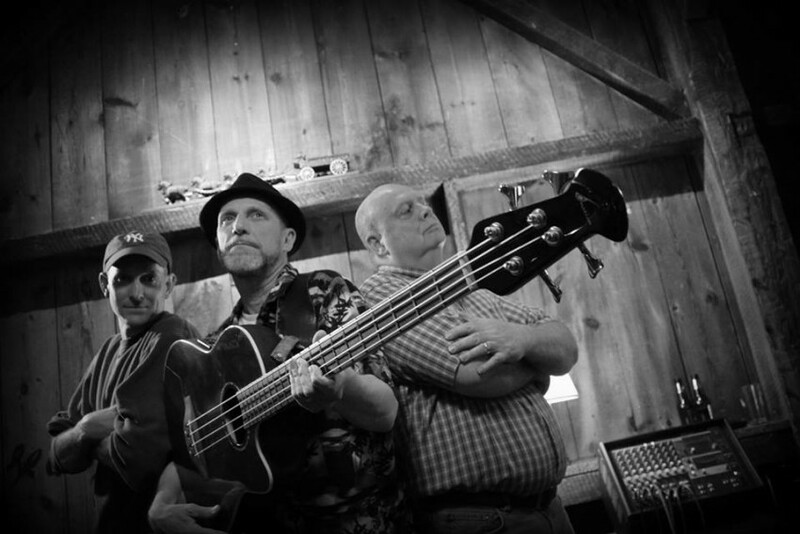 An energetic acoustic trio offering popular covers of great songs from the 70's to now. Two acoustic guitars, acoustic bass and three vocals meld together to enliven any occasion. 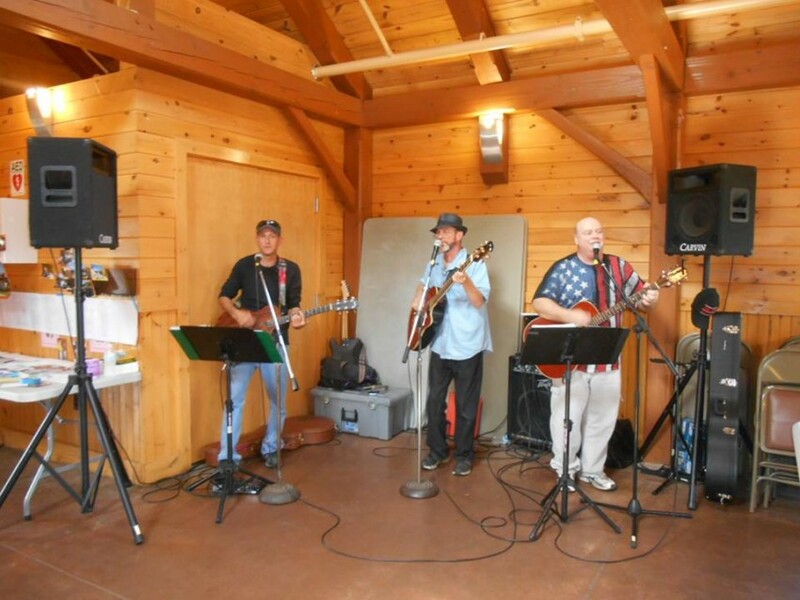 Upfront entertainment or tasteful ambiance; Lake Effect will tailor it's set list to meet your needs. Living rooms, clubs, or outdoor stages Lake Effect will be there to share a good time and great music! Fantastic! Fun band everyone enjoyed! Happy to be part of the event Mark. Nice mixed bunch of people there. It was fun performing straight up acoustic with the challenges that provides. Three guys having fun, feeding off each other and the audience - it's infectious! Lake Effect has a relaxed approach to performances. The show adapts to the people in attendance. We'll look to cater our sound and selection to those around us. Lake Effect can go from jumping up and down to quiet background ambiance. Fun, fun! These guys are obviously having fun. An acoustic trio performing classic hits on acoustic guitars and bass. Sounds like: The Eagles, Paul Simon, CSNY. Lake Effect can bring high energy fun to any event. All three guys brings vocals into the mix. You'll love the harmonies! With 100 years experience between us we're comfortable out front or out of the way. We will perform inside or out, day or night. Lake Effect typically works with their own sound equipment but would be happy to work with a house system. We can also provide cover and lighting as needed. Ever evolving... All For You/Sister Hazel; Already Gone/Eagles; Amie/Pure Prairie League; Babylon/David Gray; Boot Scootin Boogie/Brooks n Dunn; Babylon/David Grey; The Boy In The Bubble/Paul Simon; Brown Eyed Girl/Van Morrison; Drops Of Jupiter/Train; Hey Soul Sister/Train; I'm A Believer/Smashmouth; Jet Airliner/The Joker/Steve Miller; The Letter/Joe Cocker; Locomotive Breath/Jethro Tull; Losing My Religion/REM; Me & Julio/Simon & Garfunkel; I Melt With You/Modern English; The Middle/Jimmy Eat World; Only Wanna Be With You/Hootie & the Blowfish; Ring Of Fire/Johnny Cash; Rock This Town/Stray Cats; Rockville/REM; Running Down A Dream/Tom Petty; Sister Golden Hair/America; Southern Cross/Crosby,Stills & Nash; Take It Easy/Eagles; Third Rock From The Sun/Joe Diffie; This Love/Maroon 5; 3 a.m./Matchbox Twenty; Twist and Shout/The Beatles; Wagon Wheel/Old Crow Medicine Show... just a sampling! Got advance requests? Love to hear 'em. The Beatles, Neil Young, REM to name a few. No all white M & M's needed. We'll typically need access to basic electrical outlet. Please specify if we will need to bring our generator.